Course Fee: €355 which includes all registration fees. Course Format: Distance Learning Course of 6 lessons. Delivery Format: Distance Learning Course. Students can complete this course within 6 months which is ample time and can start it at anytime of the year that is convenient. If students need to extend this period for any reason during or near the end of the course they can request an extension through the college. Enrol now to secure your place! 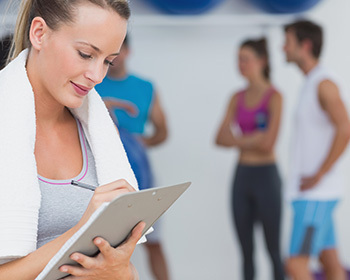 This Gym Instructor course guides the student towards a sound foundation in the concepts of fitness and health. It then develops the student’s ability to convey these techniques and knowledge to others. Lesson 6: Health and Safety in the Gym Environment. Upon completion of this course you may take a final examination. Full details of this examination are automatically sent to you at the end of the course. The examination costs €65 and is taken at home at your convenience. If you receive 70% or more in this examination you will receive an ITEC – Irish Training and Educational Centre Diploma. As part of EU GDPR Data Protection legislation we require your consent to collect, store and process your data in relation to our Privacy Notice. Do you consent for us to use the information provided to process your Information Request? Welcome to Irish Training and Educational Centre, Ireland's leading provider of accredited, quality assured distance learning courses. ITEC Distance Learning home study courses are accredited / certified by recognised bodies. Distance Learning Ireland – Irish Training and Educational Centre (ITEC).